Now more user-friendly than ever, while continuing the legacy of excellence that Albert Hood and Richard Johnson began, the latest version of this best-selling text updates students and clinicians on the basic principles of psychological assessment, recent changes in assessment procedures, and the most widely used tests relevant to counseling practice today. 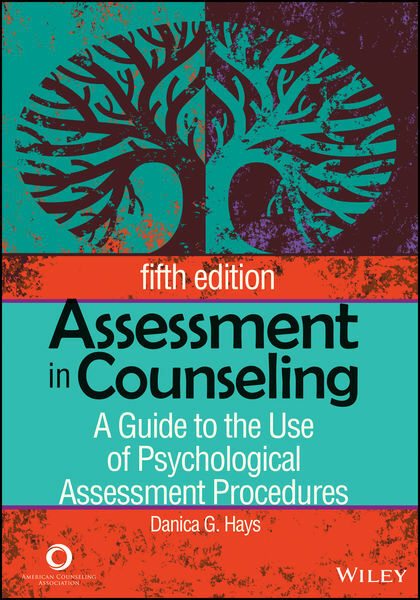 Hays walks the reader through every stage of the assessment process and provides practical tools such as bolded key terminology; chapter pretests, summaries, and review questions; self-development and reflection activities; client case examples; practitioner perspectives illustrating assessment in action; and handy tip sheets. More than 100 assessment instruments examining intelligence, academic aptitude and achievement, career and life planning, personal interests and values, personality, and interpersonal relationships are described. Also discussed are specialized mental health assessments for substance abuse, depression, anxiety, anger, self-injury, eating disorders, suicide risk, and attention deficit hyperactivity disorder.